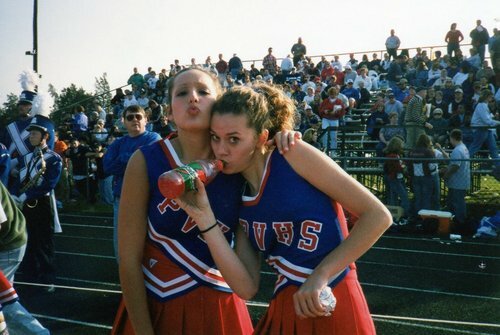 Hil & her bestie <333. 1999. HD Wallpaper and background images in the Hilarie Burton club tagged: hilarie burton beautiful photo. This Hilarie Burton photo might contain ice lolly, lolly, lollipop, and popsicle.